Leslie McCabe has been licensed to practice in real estate since November, 1984 and earned her broker designation in October, 1986. Initially active in residential sales, she earned her Graduate Realtors Designation in 1985 and more recently earned her Senior Real Estate Specialist Designation to more thoroughly understand the needs of our ageing population. 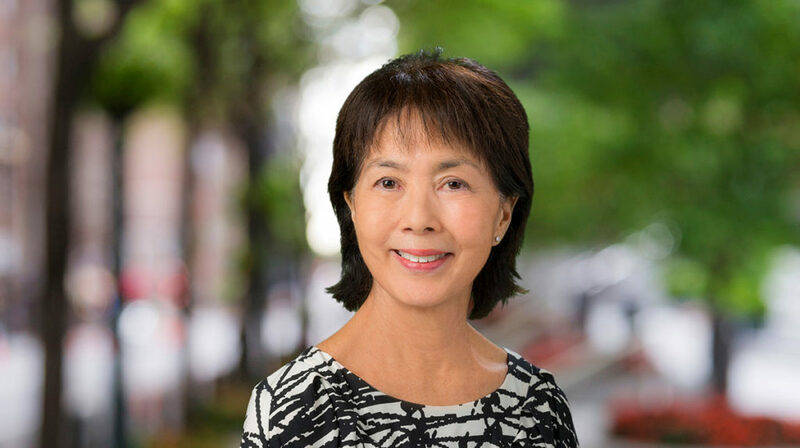 Leslie is now active in both the residential and commercial, industrial markets and is a member of the 801 South St sales team, a very successful Workforce Housing Development in Kaka’ako. Marcus & Associates, Inc. has been such a wonderful support system for Leslie during the thirty years she has been affiliated. She was recognized as Salesperson of the Year on multiple occasions throughout the years and in 1989 earned the title of Assistant Vice President and in 1991 as Vice President. In November, 1994 and February, 1996 she was invited and participated on a panel discussing the changing environment in the industrial real estate sector, conducted for attorneys and other real estate related industry professionals by Continuing Legal Education. In 2014, she was recognized as an Aloha Aina Award winner for excellence in service to her clients. Leslie graduated from the University of Hawaii where she earned a BBA in accounting from the College of Business Administration. Leslie believes that as her years of affiliation with Marcus & Associates, Inc. pass, her conviction grows stronger that Marcus & Associates, Inc. displays honesty and integrity from the top, down. With this kind of commitment and support both internally and in the community, her career in real estate has been a very rewarding experience. She expresses her motto to clients and customers in this way: Our philosophy in business is very relationship oriented. We select our clients based on our ability to provide excellent services involving reliable, current information in the marketplace which enables our clients to make informed decisions to fulfill their real estate goals. Volunteerism has always been an integral part of Leslie’s life schedule. Throughout her childrens’ school career, volunteer opportunities were mandated into weekly life. Community volunteer activities have included reading at Mayor Wrights, cleaning at the Honolulu Zoo, Kaniakapupu, Waimea Valley Audubon Center, the U of H law school facility and constructing homes with Habitat for Humanity, many of the events sponsored by the William S. Richardson School of Law Alumni Association. Since 2004, Leslie has been an active volunteer at the Mediation Center of the Pacific where she mediates a variety of conflicts involving personal and business matters. Recently she was recognized with an award for being the go to mediator when help was needed unexpectedly. All of Leslie’s adult children are on the road to being responsible, contributing citizens. Her job is done there, and she is now enjoying all of her precious grandchildren who are truly the light of her life. Leslie hopes she will be able to assist her grandchildren to become home owners and investors in real estate someday!